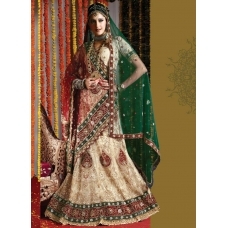 Let your bridal look be reminiscent of the evergreen charm of by-gone era in this cream shade lehenga choli. 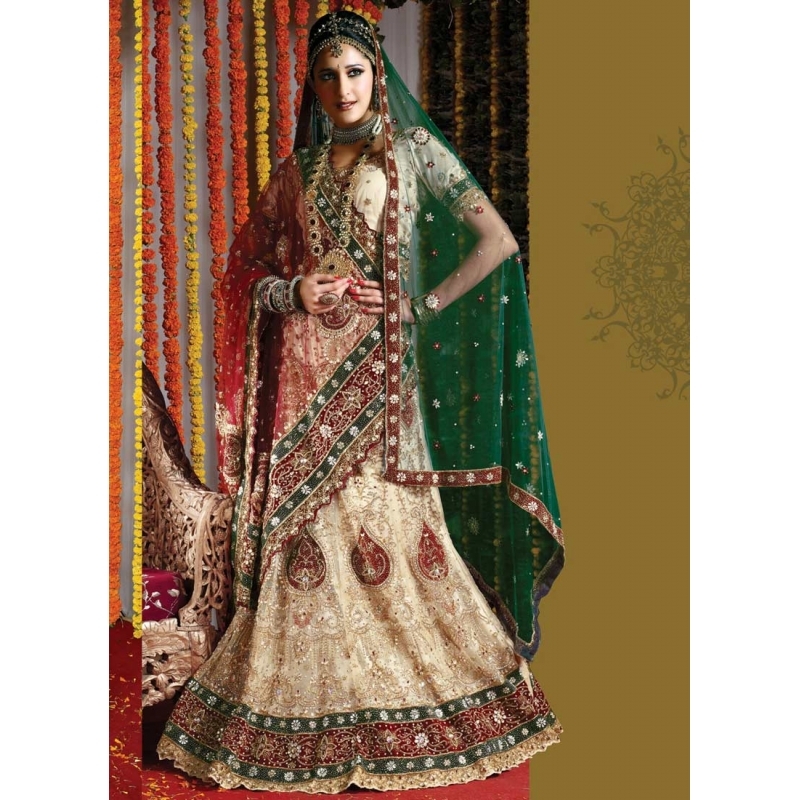 Lehenga in net features generous array of self-embroidered decorative and festoon patterns, enhanced with intricately embellished decorative appliques. Exhibits rich embellishments with sequins, stones, beads and fancy thread work. Hemline, featuring vibrant patched panel, is decorated with intricately embellished floral buttis and patterns. 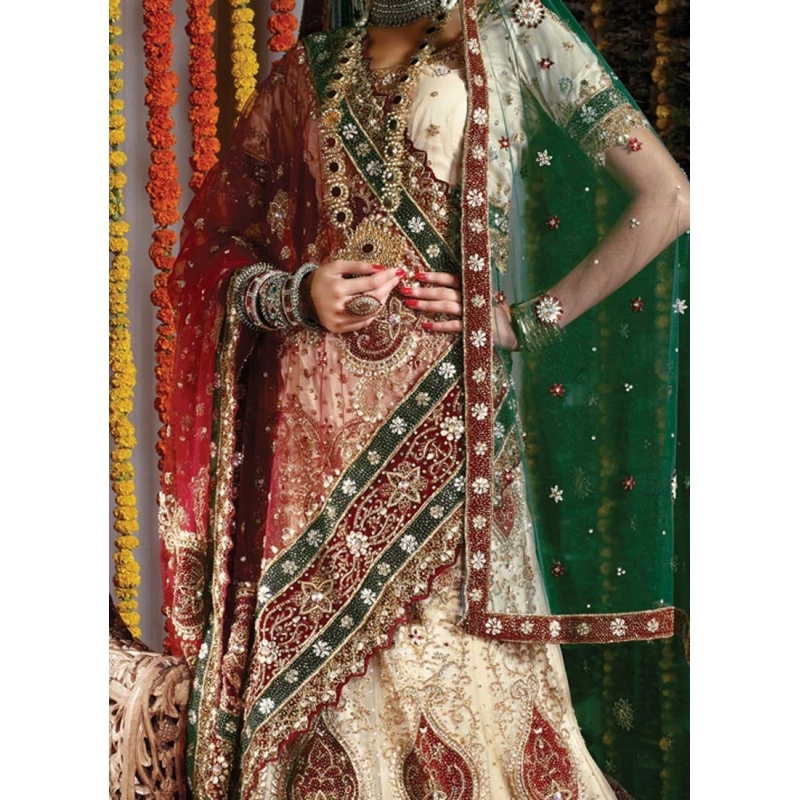 Comes with a matching choli and dupatta.